Shopping for One Punch Man Pop! Vinyl Figures? Add the strength of One Punch Man to your collection! From this hit anime series, your favorite character makes an adorable Pop! Vinyl styled figure. 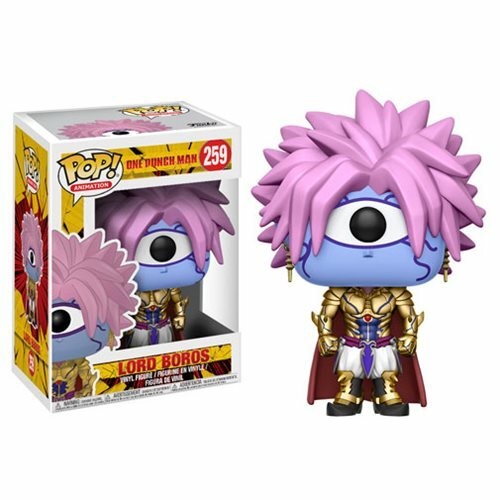 This One Punch Man Lord Boros Pop! Vinyl Figure #259 comes packaged in a window display box and measures approximately 3 3/4-inches tall. Ages 3 and up.